May excessive transparency damage Science? Scientific research has earned on the last decade greater transparency, credibility and openness due to wide availability and sharing of results and raw data on repositories, open discussion on social media, pre-prints, post-publication peer review, and the involvement of various sectors of society in the scientific debate. This is all very positive and healthy until use turns into abuse and researchers suffer harassment or even face lawsuits by the simple fact that their research displease corporations, groups of people or single individuals. The scientific community has promoted and encouraged research transparency to curb the lack of reproducibility and scientific misconduct. Science self-regulation allows detecting more quickly and accurately methodological flaws, fraudulent results and conflicts of interest that may affect the credibility of the discovery. However, it also opens room for disproportionate reactions motivated by simple discrepancy between results and even threats of physical and psychological violence by opposition groups, especially on controversial issues such as climate change, genetically modified organisms and vaccination, among others. One of the pillars of scientific research is the honesty and trustworthiness of scientists and people directly involved in this activity, as students and staff. However, when trying to prove a hypothesis, researchers, consciously or unconsciously, may introduce bias at work or reject certain results that are not suited to their theory. Abusive and unjustified scrutiny, however, does not include corrections of this nature, which are perfectly reasonable. People and organizations may disagree with irrefutable scientific discoveries, such as the theory of evolution or heliocentrism, to be at odds with their ideological convictions and beliefs. Financial or other interests can trigger reactions that are classified as harassment of researchers or institutions and the scientific community should be provided with tools to recognize and curb these practices. 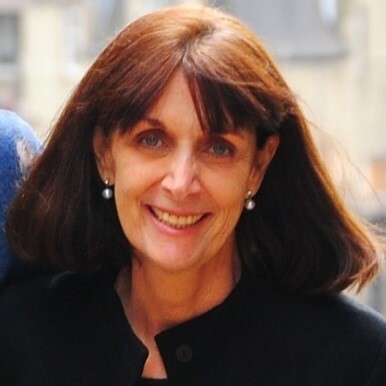 A study conducted by Stephan Lewandowsky1, a professor of Cognitive Psychology at the University of Bristol, and Dorothy Bishop, a professor of Development Neuropsychology at Oxford University, both in the United Kingdom, presents ways to differentiate science validation from harassment and suggests actions to prevent the latter, based on a symposium on reliability in science conducted in 2015 at Welcome Trust, in London, which we present below. The line between healthy debates from harassment may be tenuous. However, there are clear signs to be observed on both the researcher’s end whose work is disputed, as from those contesting. At stake are the area of specialty; the existence of conflicts of interest; the credibility of the publication; the presence of previous errors and their severity; the balance between erroneous evidence and counter arguments; previously published results on the subject; the transparency in the provision of data; background information; previous behavior to criticism; behavior regarding requests on behalf of the Freedom of Information Act. In the view of Lewandowsky and Bishop, the request of more information on research can be done in some situations to give the impression that important data was omitted. Alternatively, the request of information which is already widely available on the Internet constitutes indication of harassment orchestrated by opponents. For example, the US tobacco industry supported the creation of laws to increase the availability of research on tobacco results to delay or prevent the adoption of evidence-based public policies. In turn, the Committee on Science, Space and Technology of the United States Congress, a longtime critic of research on climate change, summoned experts in this area to provide data that was originally available online. 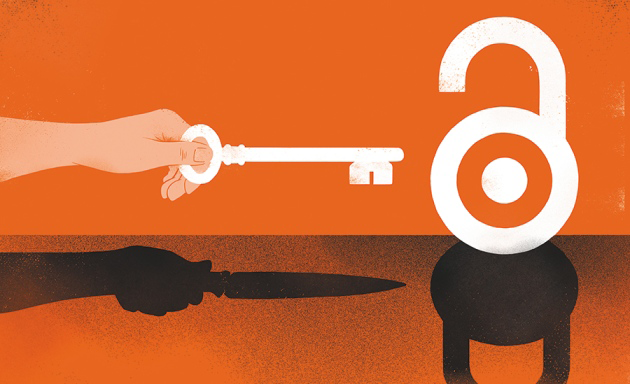 Not every data request must be regarded as abusive, however, and should not prevent the open availability of research data and the results of the debates inside and outside the academic community. There are cases where, on behalf of the confidentiality of clinical trial participants, for example, or otherwise, the totality of data cannot be shared. Scientists should just explain why. Pre-registration of the methodology and a study work plan is a way to avoid bias. Just as evidence of credibility is required from the researchers, it must also be demanded from the criticism’s author. For this reason, all those who participate in post-publication peer review should identify themselves and minor corrections and post-publication clarification should not be used to stigmatize researchers. Scientific publication should be seen as a ‘living document’ and part of the progress of science. In case of an impasse, however, the matter may be mediated through independent arbitration. Social networks play a regulatory role in science facilitating sharing of articles as soon as they are published, and encourage comments from peers, as it occurred with the controversy over the Science paper2 reporting that bacteria could survive in an environment without phosphorus, replacing it with arsenic in biomolecules. The scientific community quickly refuted the theory through online comments3 until further experiments by others definitely proved otherwise. On the other hand, social networks offer a way for malicious or biased comments, which scientists feel compelled to respond. However, such comments and criticisms should be disregarded, and universities, research institutions, journals and scientific societies have a duty to guide and support their researchers. The wide dissemination of harassment may be the solution, as stated by the authors of the study, ‘journals and institutions can also publish threats of litigation and use sunlight as a disinfectant’. A case of such an online harassment, called ‘trolling’, occurred in August 20154 when a librarian blogger called the SciELO program ‘a publication favela’ while subscription journal publishers would be the ‘good neighborhood’ of scientific publication. Its author, Jeffrey Beal, is notorious for keeping an online list of predatory publishers and making biased and prejudicial comments about Open Access. His attack was immediately refuted5 by editors, researchers and renowned scientific societies around the world, such as SPARC6, which not only recognized the innovative character and the success of the SciELO program, as they consider it an example to be followed throughout the world. The Freedom of Information Act brought undeniable contributions to the transparency of institutions, and requests made on its behalf may reveal a non-disclosed conflict of interests, for example, research funding from pharmaceutical companies. However, requisition of information may also be used as a form of harassment. A decision by the UK Information Commission in 2013 secured the rights of researchers from disclosing incomplete material or data and draft documents. Exception is made, however, on information about research funding, which should be fully available by demand, regardless of its value. Retraction, reserved to scientific misconduct or serious errors is a public tool to communicate that the article in question was substantially changed or even canceled. However, there has been increased retraction requests by people who simply do not agree with the conclusion of an article. A notorious case involved the National Football League of the United States7, which requested the retraction of an article which stated that severe brain injuries in a deceased player had been caused by repeated concussions (the conclusion had been confirmed by other studies). Retraction requests of this nature should not be addressed and journals and scientific societies can make them public, as a protective measure. In addition, research institutions can publicly support and provide guidance to its members in case of harassment, especially in controversial research areas. In Brazil and Latin America harassment of researchers are little known, at least publicly. Researchers from several countries have suffered political persecution in the presence of authoritarian regimes and many were exiled or fled into exile, but this does not constitute scientific harassment. However, a peculiar case occurred in Argentina in 2009 with a molecular biologist at the University of Buenos Aires and affiliated to the Argentinian Research Council (Conicet) Andrés Carrasco. Carrasco, who died in 2014, published evidence on the mutagenic and teratogenic effects of glyphosate8,9,10, the main component of the Monsanto herbicide Roundup and suffered heavy harassment, including physical violence, orchestrated by the multinational company and Argentine agribusiness professionals. News agencies reported that Carrasco was not the first scientist to suffer reprisals for reporting the genotoxic effects of glyphosate. Scientific research today has greater transparency, legitimacy and credibility thanks to open date, pre-prints, and pre-registered methodology. The academic community should devote similar attention to the protection of researchers and institutions from attacks, especially those involved in research on controversial topics. 9. PAGANELLI, A., et al. Glyphosate-Based Herbicides Produce Teratogenic Effects on Vertebrates by Impairing Retinoic Acid Signaling. Chemical Research in Toxicology. 2010, vol. 23, nº 10, pp. 1586–1595. DOI: 10.1021/tx1001749. PAGANELLI, A., et al. Glyphosate-Based Herbicides Produce Teratogenic Effects on Vertebrates by Impairing Retinoic Acid Signaling. Chemical Research in Toxicology. 2010, vol. 23, nº 10, pp. 1586–1595. DOI: 10.1021/tx1001749.